I haven't done a haircare routine in a while now so I thought it was time to update you all on what products I use to keep my hair healthy and strong! 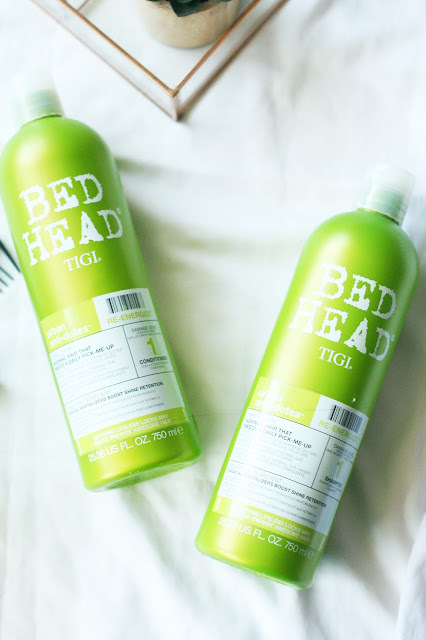 Bed Head - tigi - urban anti-dotes | I bought this shampoo and conditioner set from TJ Maxx a few months back and i've used it twice a week since, it's such a bargain for around $25! This set is for normal hair that needs a little reviving, which is me in a nutshell! You can always count on Tigi products to make your hair smell truly amazing and feel extremely touchable. This lathers up well and I find I only need one shampoo unless I am colouring my hair and then I will use too. The conditioner makes my hair smooth and eases out those knots, a perfect pair! Whenever I run out of shampoo and conditioner I never buy the same one back to back as I like to switch it up and try different scents because I get bored after using a product for a few months. Check out your local TJ Maxx (TK Maxx for all you brits!) to see what they have in store. 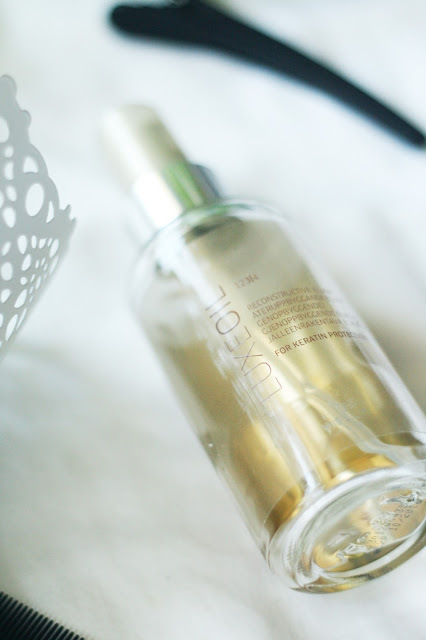 Wella - luxe oil | I have already spoken about this product on my blog so you will know how much I love this oil. I apply 2 pumps to damp hair before I use any heat as this oil adds a protective layer to the hair, keeping it healthy and stopping those naughty split ends from appearing. It also makes your hair feel like cashmere, its so soft seriously! Smells good, does good! You can purchase this product here. 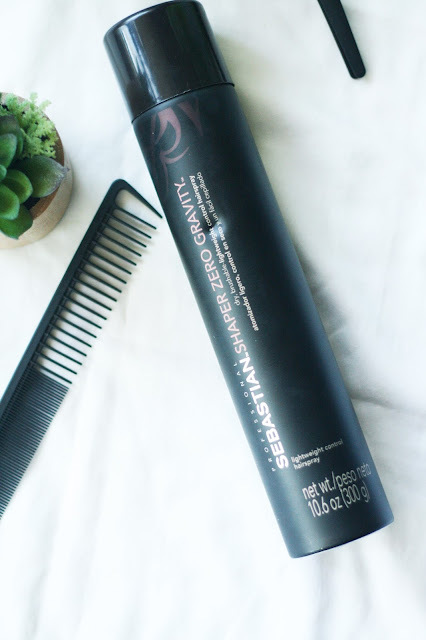 Sebastian - shaper zero gravity hairspray | The final stage to giving my hair the perfect shine and also keeping those fly aways in place is this lightweight hairspray by Sebastian. I hate hairsprays that leave a sticky feeling on your hair and you have to immediately wash it, so I was pleasantly surprised when I first purchased this 8 months ago. It smells great and is definitely worth $19! Pick one up here. 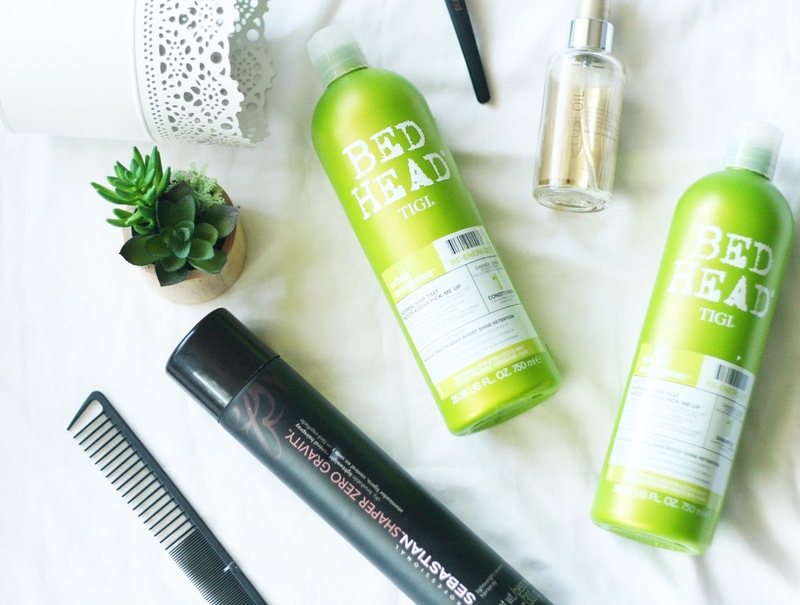 What are your haircare must haves?